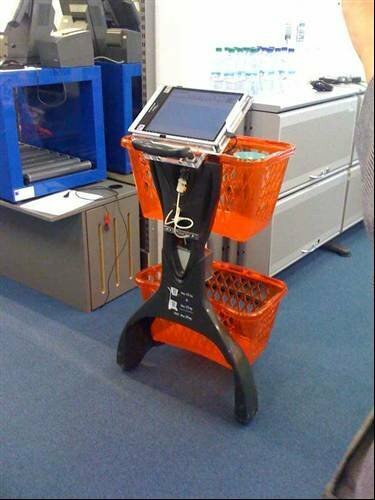 SAP’s shopping trolley is fitted with a touchscreen that connects to a store’s wireless Lan and is fitted with an RFID reader. Customers that have an account at a store could write their shopping list on their smartphone, which can then be called up on the screen via a username and password. SAP’s Future Retail Centre, near Zurich, Switzerland, houses a range of new technologies that could change the way we shop in years to come. Many of the technologies are already being trialled by retailers and the company uses its research labs in Switzerland to showcase and test its ideas.